Where Do Your Favorite Celebrities Go On Vacation? Summer is here, and with it comes every Filipino's favorite part of the year: the long vacation. Whether you're on break from school or taking a few days off from work, everybody's dying to escape the heat of the city. The summer months offer a great opportunity for Filipinos to give into the travel bug, and the temptation is especially sweet with airlines offering discounted fares for the time period. From the white sand beaches along the coast, to cooler climates abroad, there are tons of possibilities for your next big trip. If you need a little bit of a nudge in the right direction, check out this list of celebrities and their favorite vacation spots for some ideas. Bea Alonzo may be scaring moviegoers with her role in Mikhail Red's Eerie (2019)The actress is one of the most successful artists of her generation, with a career that made her a household name way back in the early 2000s. Bea's not one to rest on her laurels, but this hard worker needs a break every once in a while. She recently went on a trip to Coron, Palawan, where she enjoyed the crystal clear waters and tranquil beaches to her heart's content. Heaven Peralejo has been with denim brand BNY Jeans for several years, and she takes her endorsements just as seriously as she does her television and film roles. While her whole family is healthy and happy now, Heaven recently took the opportunity to go on a trip to the Kansai area in Japan, where she enjoyed everything that Osaka and Kyoto had to offer. When Maine Mendoza burst onto the show biz scene a few years ago thanks to her viral videos and even more viral onscreen love team AlDub, everyone already knew she was special. With an authenticity that's hard to copy and a charm that you'll find nowhere else, Maine has weathered the fickle attentions of mainstream media and shown that she truly has star and staying power. The actress and entertainer is a jet-setter, and recently went on a trip to the Holy Land to see the historical and spiritual sights. Angel Locsin has been pulling in rave reviews for her performance in The General's Daughter, but that's not the only thing she's had up her sleeve in the past few months.The actress has been traveling all around the country both for work and play, promoting the show at the Panagbenga Festival in March, and exploring parts unknown in the Philippines. She recently posted a stunning snap of herself in Anawangin Cove in Nagsasa, Zambales— the perfect spot for vacationers who are looking for a bit of peace and seclusion this year. For more travel tips, check out the Travel section on Zam Fuellos. 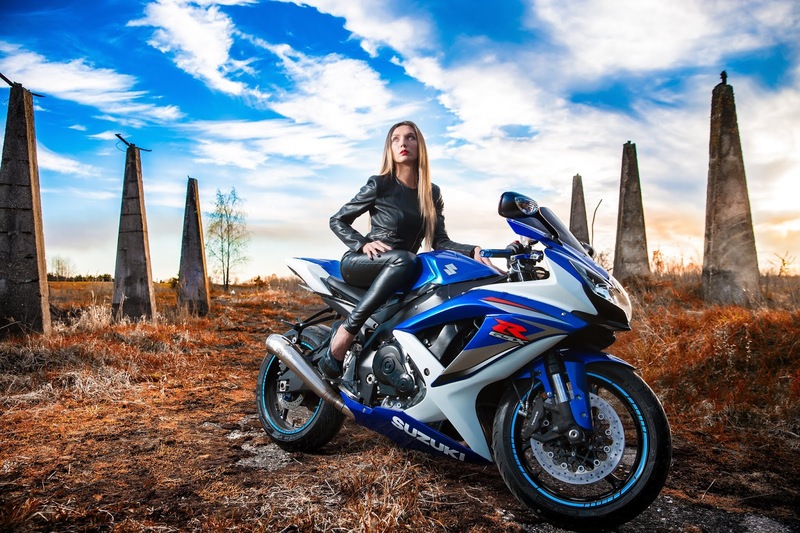 When you own a motorcycle, getting a motorcycle insurance is important. But getting the right protective motorcycle gear and equipment is even more important. Donning on such protective gears as motorcycle helmets, knee guards motorcycle, gloves and boots is essential in making certain you remain in one-piece in the event you are involved in a collision. The REV'IT! Stellar Motorcycle Gloves claim features traditionally reserved for top-of- the-line race gloves used exclusively by professionals. They use cowhide upper construction for durability and a goatskin palm for comfort and control. They also use a newly developed cuff closure system for a precise fit around the wrist whether you’re wearing the gloves underneath or over the top of your jacket sleeves. These gloves are designed for riders who demand precise control, lasting comfort, and the highest level of protection. 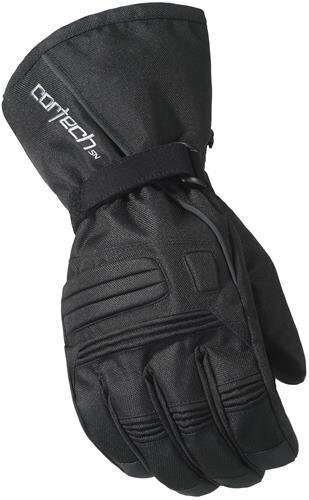 The Cortech Journey 2.1 Gloves are fully insulated in palm and back of hand to keep your hands warmth and comfortable on cold rides. These gloves also come with waterproof and breathable materials, as well as a soft Bemberg interior lining for increased comfort and feel. With Pre curved microfiber on palm and fingers to provide a foam-fitting comfort. The Journey 2.1 Gloves also comes with reinforced palm and thumb for an extra protection in case of a fall. Stick with the experts at BikeBandit.com for all your riding parts, motorcycle safety gear and accessories. You can stock up and get fast, free shipping when you order $99 or more! Hey ladies! It is the start of the month and I do think you have to shop for groceries again. I know there are lot of sale items and you wanna go grocery shopping but you don't wanna go out because you don't wanna be stuck in a traffic jam. Don't worry, On the count of THREE, you can now enjoy your grocery shopping with the best Unilever Deals on Shopee. 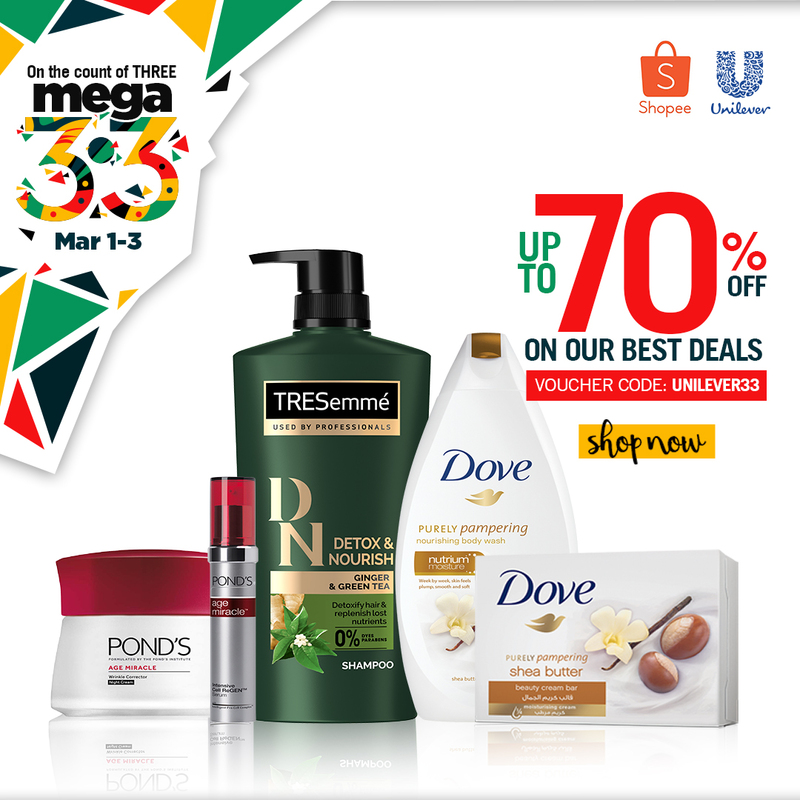 There will be a Shopee 3.3 Mega Shopping Day on March 1-3 where you can avail deals up to 70% off. You can also use voucher code UNILEVER33 on your mobile to avail Php 200 OFF for a minimum purchase of Php 1000 worth of Unilever products. You can add to your cart products from personal care, home care and food! On the count of THREE, start shopping! It's the perfect time to restock your groceries! Anawangin Cove is one popular tourist destination for beach outings located in San Antonio, Zambales in Central Luzon. Its isolation is such a hidden paradise, as it can be reached only with a 45 minute boat ride from Brgy. Pundaquit, San Antonio. But before planning your camping trip to Anawangin Cove, you to consider some things. 1. There is no phone signal. Anawangin Cove is literally a place to get away from the crowded and busy streets of the city. When in Anawangin Cove, you'll get to enjoy soaking under the sun and forget social media for a while. Ready yourself because if you really like updating your IG Stories in real time, you will not be able to do it here. 2. Remind yourself that Anawangin Cove is not a luxurious place to stay. Remember it is a campsite. There is no hotel, no bath tubs, no clean bathroom and no comfortable bed. Just a tip: You could save 300 php by bringing your own tent. 3. Don't forget your mosquito repellent. There are mosquitoes at night better be safe than sorry. You don't want to get sick when you are camping. 4. Bring your food and water. Since Anawangin Cove is isolated from urban area, the price here is being doubled and there are only limited stocks in stores by the beach. Plus, you will save mother earth from plastics. 5. Keep in mind of your trash. Anawangin Cove is a gem of Zambales, and we don't want to ruin this gem. 8:00 PM onwards - Bonfire and party! As a traveler, I look for a budget friendly accommodation but will not sacrifice the clean and comfort. When we went to Bacolod, our accommodation is included in our tour package. It is called The Hostelry, I am not familiar with the place so I made further research just to make sure, I will get what I paid for. The Hostelry is located along La Salle Avenue at Roli's Arcade building. It is conveniently situated near public transport, fast food chains, convenience store and etc. A matrimonial room (double bed) was book for us because as we requested for a private separate room. The room is provided with with linen, pillow, towel, and soap. It has television, air conditioner, hot and cold shower and lucky enough to get a spacious closet. Its chic and colorful lobby gave the expression that the place provide good facilities and service. As I walked inside the room, I love how spacious and clean it was. The white sheets, one fuzzy blanket and two pillows complete its coziness. They provided cleaning service as they cleaned our room once we were out for our tour and we will get back to a nice and tidy room. I would consider the place perfect if they have extra dining table and chairs. Because when we were at The Hostelry, we bought to-go breakfast at the near fast food chain and we found it really hard to eat on the bed. No WiFi in the rooms. You have to go down in the lobby access internet. There is no bidet. *a moment of silence* When I stayed in this place, I recognize the full worth of bidet. I only did number 2 once (TMI) when I stayed at The Hostelry because I anticipated that it would really difficult for me to do the deed because of lack of bidet. Here you go, I gave some thought about our stay. 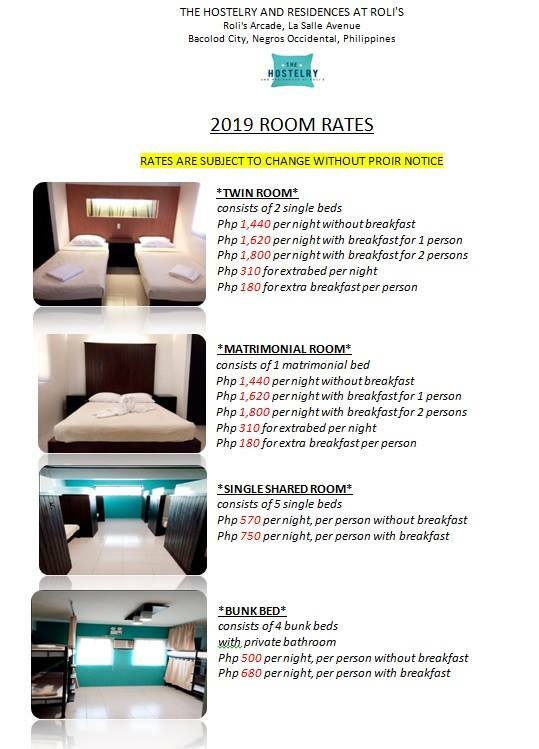 I would highly recommend the place once you go to Bacolod especially when you are travelling on a budget because they just don't have private rooms they also have shared rooms when you can socialize with other travelers. 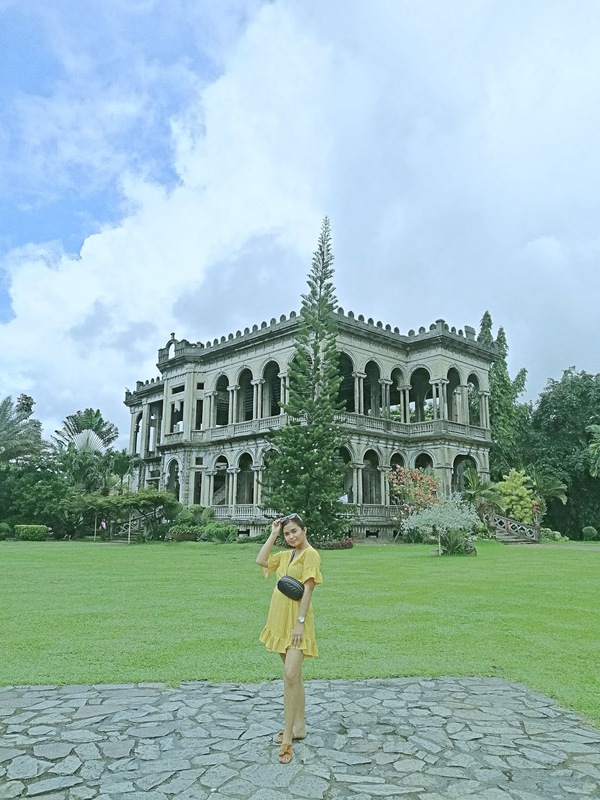 Here is a sample itinerary for 4 days and 3 nights which covers tri-city tour of Bacolod , Silay and Talisay and a side-trip to Lakawon in Cadiz and Mambukal Resort. Our four day vacation in Bacolod made possible by Bacolod Tour Guide. They provided this itinerary. What I like about it is it is flexible, as their guest you can choose where to go first. Unlike in other tours, it is strict and on time. 9:00 PM - Return to accommodation. 7:30 AM - Pickup from accommodation, transfer to Cadiz. 9:00 AM - 4:00 PM - Enjoy Lakawon island resort's white sand beach, enjoy food and drinks for P375/pax and Tawhai floating bar (Optional P250/pax*). 5:00 PM - Return to accommodation. For this itinerary prepare Php 6400 for all of the Tour, Hotel, Entrance Fees, Transport Service and Php 2500 for your food and pasalubong budget. Bacolod, the capital of Negros Occidental, notable for its MassKara Festival held during the third week of October and is known for being a relatively friendly city, as it bears the nickname "The City of Smiles". This is my first domestic travel this 2019. What to do in Bacolod? People asked why I chose to travel in Bacolod for my birthday. First, it was on sale. I got my round trip tickets for only around 400 php. Why not, coconut?! And mostly because Bacolod is not just an ordinary highly urbanized city, it offers you historical tourist destinations and welcomes you with an unforgettable meal like its Chicken Inasal. But Bacolod is not just for foodies, there are things to do in Bacolod where you can enjoy with your squad or even your family. Within an hour drive you can dip in waterfalls in Mambukal Mountain Resort, zip-lining in Campuestuhan Highland Resort and bask under the sun in Lakawon Island in Cadiz City. Be amazed on Talisay's The Ruins and satisfy your cravings in Calea Pastries & Coffee. These are just some of attractions and activities in making your Bacolod trip unforgettable. If you are from Luzon, you can choose from Clark International Airport or Manila International Airport. You can book your flights either with Philippine Airlines or Cebu Pacific and will cost you not more than 5,000 php for a round trip ticket. The airport in Negros Occidental is situated at Silay City. It is only less than an hour from Bacolod City. It is really easy to roam around Negros Occidental. There are jeepneys and tricycle to take, however, if you are traveling as a group, it would be best to take the taxi or hire a van to make your trip more comfortable and swift. We are four in a group that's why we preferred getting a tour package for this trip instead of doing the tour by ourselves. We know that we will end up arguing where to go first or to go next. The tour package is highly recommended. Kuya Ed, our tour guide is very accommodating. The tour was hassle-free and flexible because of the transport service. The hotel they booked for us was clean and comfortable. To experience Bacolod City Tour, you can contact Sir Nathan Rio on their Facebook Account: https://www.facebook.com/bacolodtourguide/. Another year has ended and we’d probably looking forward to the best of 2019. And it’s only the first month of the year yet Unilever is giving us SUPERBRAND DAY. This New Year Sale is available on Shopee. You can buy your favorite beauty, food, groceries and homecare products at discounted price. Mark your calendars! Because this Superbrand Sale is only available on January 9-11. January 9 (Beauty Day)- Beauty products up to 50% OFF on Pond’s, Tresemme, St. Ives, Dove and more! January 10 (Groceries Day)- Food and Homecare products up to 30% OFF on Surf, Breeze, Knorr and more! 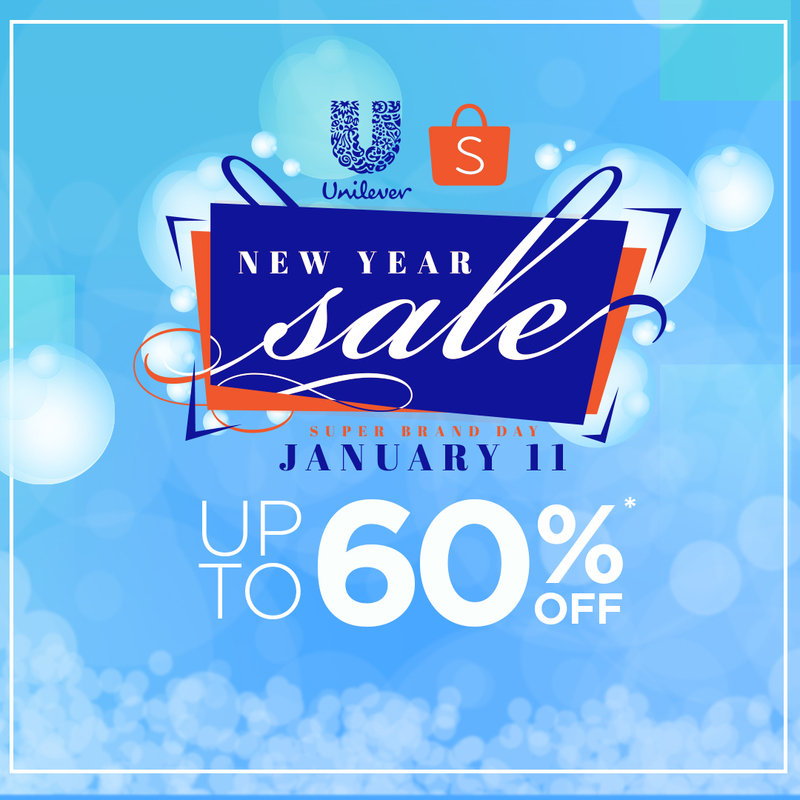 January 11, (Unilever New Year Sale) up to 60% OFF on your favorite Unilever brands! Use the code ULNEWYEAR to get PHP 100 OFF for a min purchase of PHP 1000! 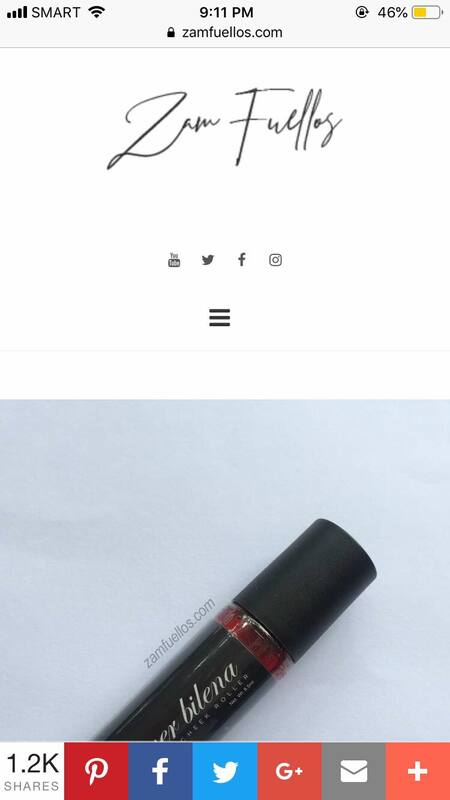 Also, get your items for free shipping! 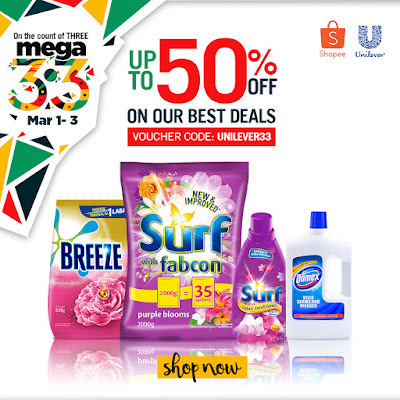 Don’t miss this Superbrand Day, hoard your favorite Unilever products! 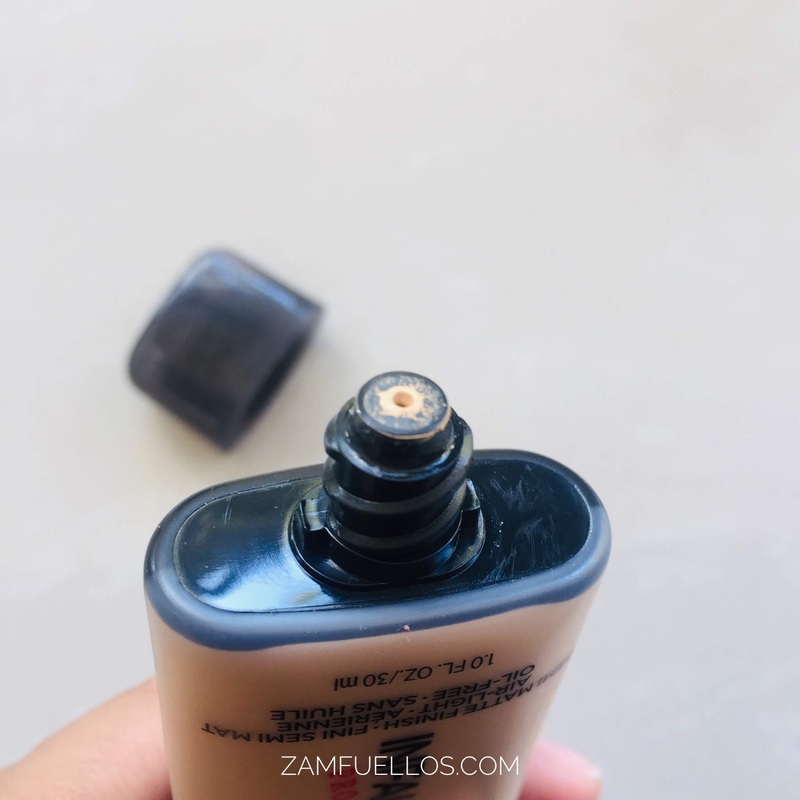 I know this product has been out in the market for a very long time and since this product came out here in the Philippines, many Filipinas raved about this foundation. 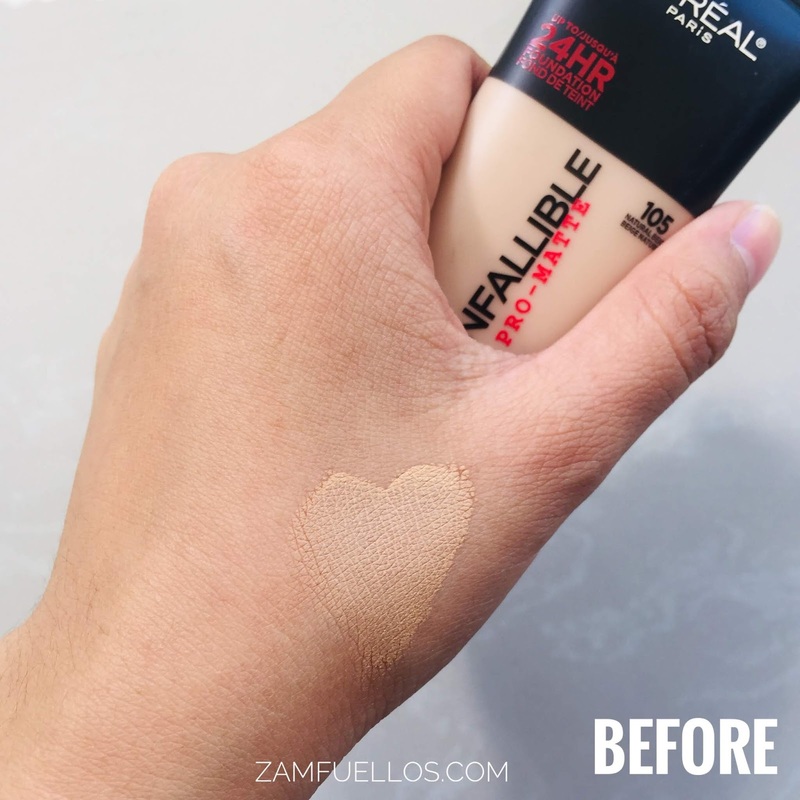 Why do we still rave for the L’oreal Infallible Pro-Matte 24HR Foundation? Here's why; First of all, the Philippines has a very humid weather which makes us produce more sweat and oil. Most of us Filipinas have oily skin because of the weather. We all know that oiliness is next to ugliness, right? That's why we keep on searching for the perfect foundation that will stay on our skin for the whole day. 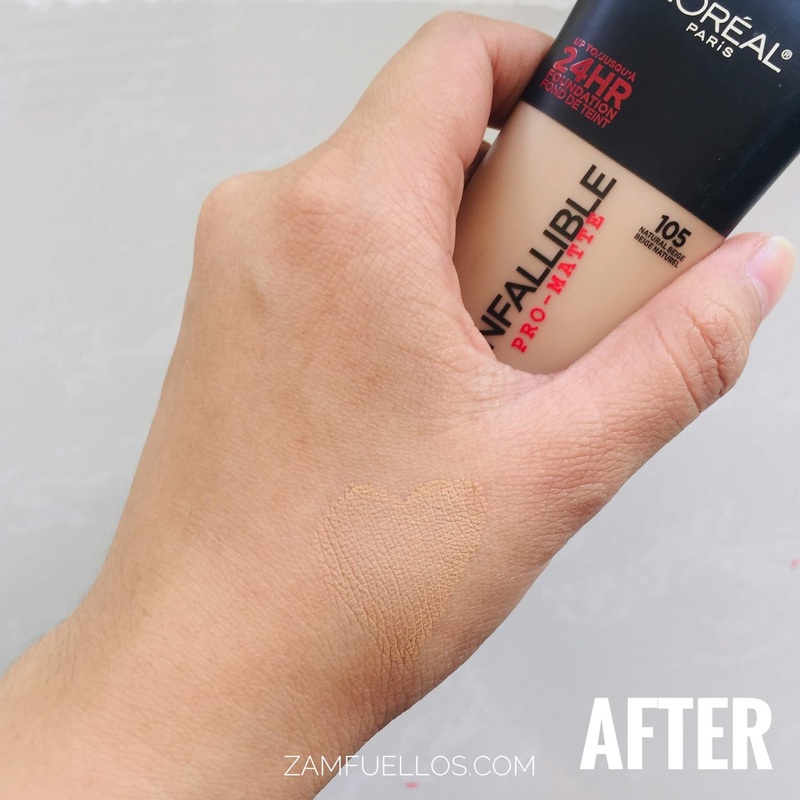 So, is L’oreal Infallible Pro-Matte 24HR Foundation really the right match? 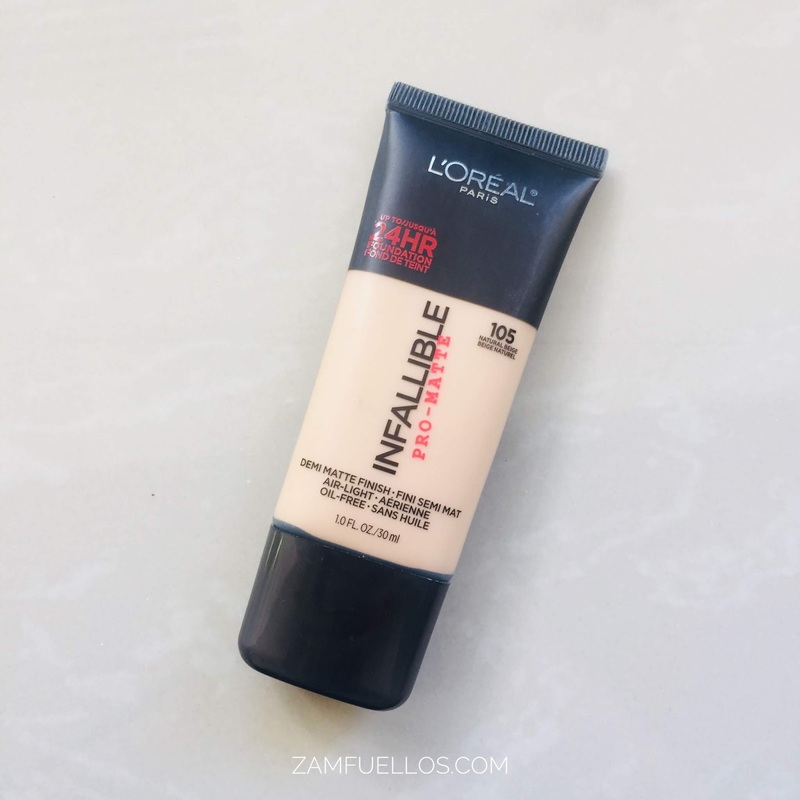 L’oreal Infallible Pro-Matte 24HR Foundation is an air-light and oil-free full coverage foundation with a demi-matte finish and can last up to 24HRS on your skin. It has a squeeze-tube packaging and only retails for 499php for a 30ml worth of product. I bought the shade Natural Beige (105). It has yellow undertone but still appears lighter on my skin. I didn't get the exact shade which is right for my skin because I know that it will oxidize and will be darker. L’oreal Infallible Pro-Matte 24HR Foundation has a medium coverage when first applied on the skin but can build to full coverage. The product sets fast, I suggest to blend faster or you could blend on one area first rather than the whole face. They say the product works well on oily skin. I believe I have a combination skin type, I have oily t-zone and dry cheek area. What I have noticed was L’oreal Infallible Pro-Matte 24HR Foundation stayed on my t-zone and evened out my skin, however, when I look closely on the mirror, my pores and dry patches were noticeable. Since it's too matte. I could consider prep your face well before using this product to avoid the flaking on the dry areas of the skin. Is this my perfect foundation? I think not. Yes, I was impressed with the longevity of the L’oreal Infallible Pro-Matte 24HR Foundation But I'm not really a fan of super duper matte finish. I want my natural glow to stay on my skin. Sorry to say ladies, but I will not rave again for this one anymore. Yes, but will not be my holy grail. It is the most wonderful time of the year. Holiday season it is! We Filipinos start Christmas on "ber" months and save for the gifts for holidays. We do love shopping but who hates shopping when it is crowded at malls? Well, I do have a good news for you. 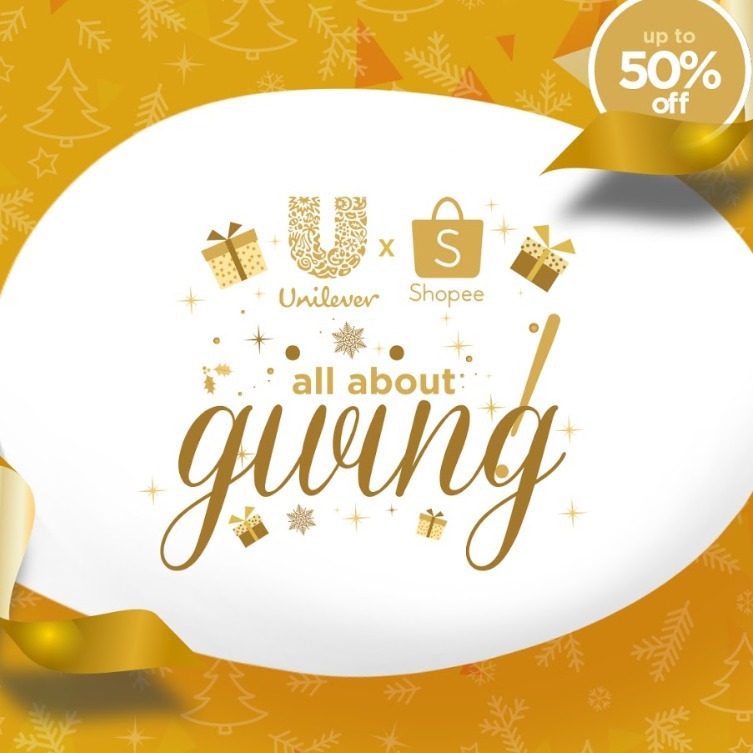 Unilever partnered with Shoppee bringing you the great deals this holiday season to experience hassle-free gift shopping. 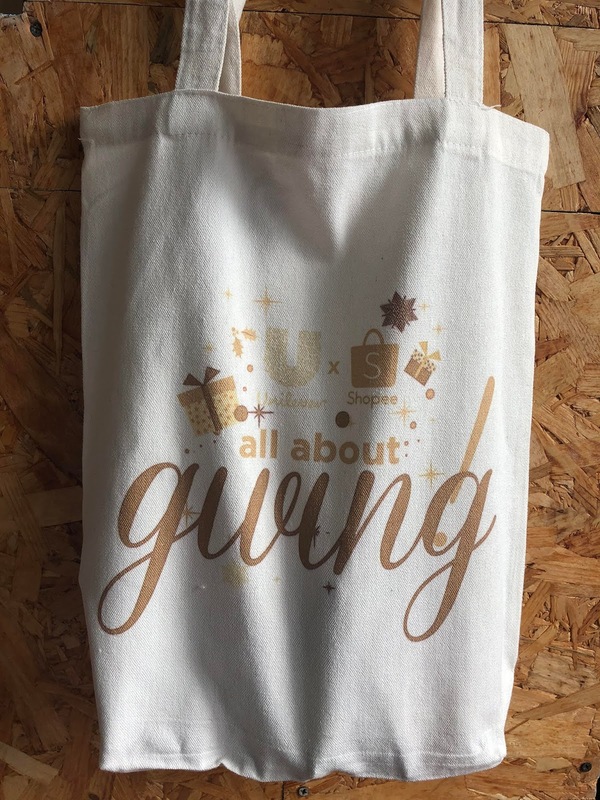 The Unilever x Shopee “All About Giving” campaign (a special e-commerce partnership for the holiday season.) Started on November 11, 11:00AM and features exclusive Unilever deals which are only available on Shopee. 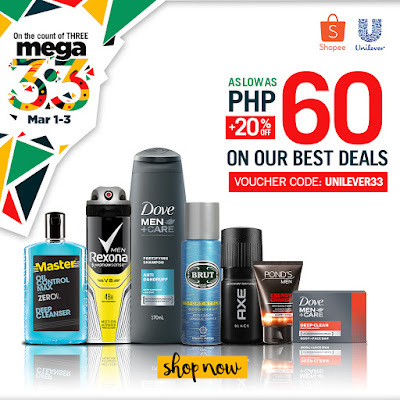 When you avail 1000php worth of Unilever products, use voucher code ShopeexUL to get an exclusive 20% discount. Don't forget to share your haul and tag us using these hashtags! A year ago, in just one click a zamfuellos.com was born. I never intend to become a "blogger". I am not even a writer and I don't have the best grammar and ideas. I just love to express myself. I never planned to be here. My first post was spontaneous. 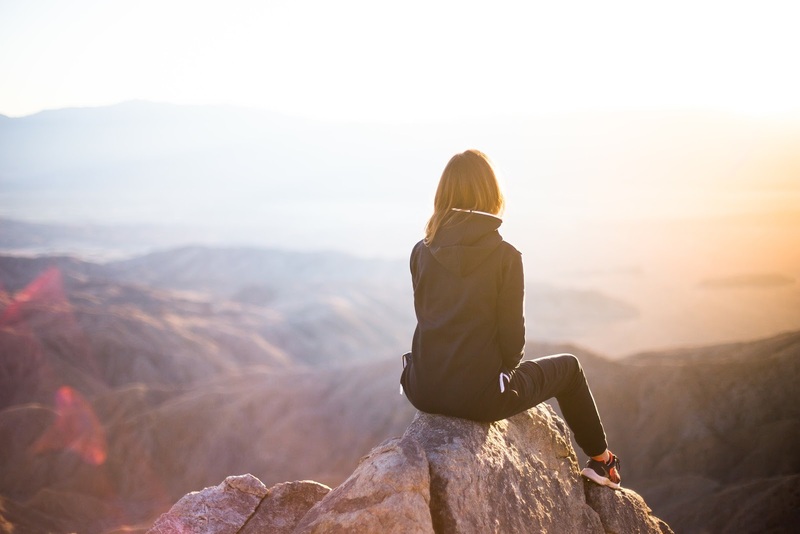 At first, all I wanted was to share my acne journey Then I became interested to write some travel blogs. At last, I found where I am comfortable writing and doing, so I started writing Beauty and Lifestyle. One year seems so fast. I didn't realize that this is how committed I am into this blog. I would like to take this opportunity to look back and celebrate. I couldn't believe I made this far. Putting up this blog might be the greatest achievement I ever had. Having my own domain was just an ambition. Now, it is a reality. 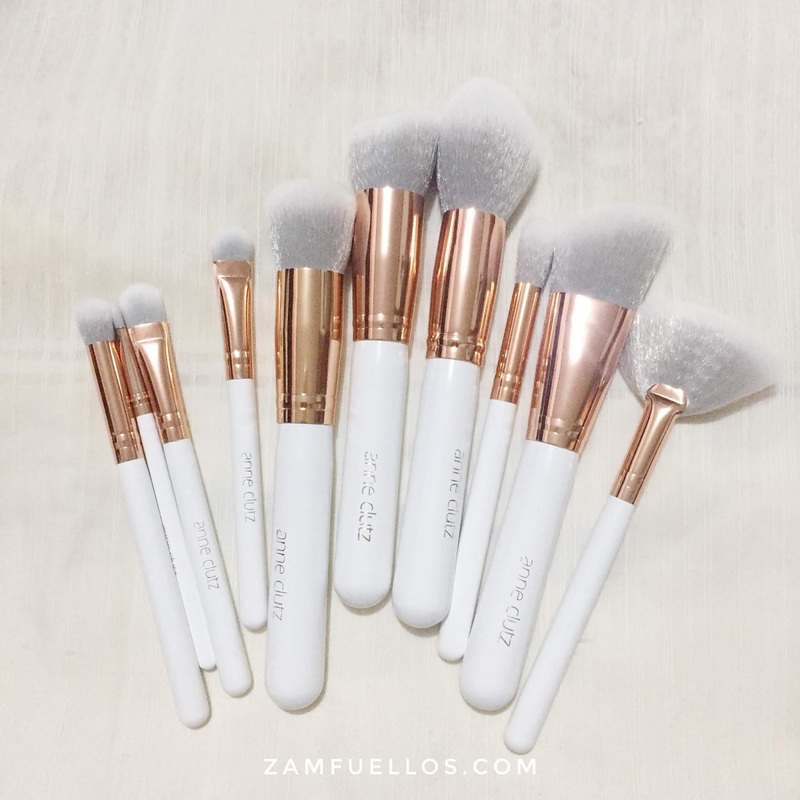 To give back to all 16,117 users who viewed my site, one lucky reader will win this Anne Clutz Ultimate Beginner's Brush Set. Comment on Instagram your answer to, "Why do you love makeup? ", tag 2 of your friends and your username. Your Instagram must be on public. Note: I will announce the winner on December 10, 2018.